If you need to transfer from one bus to another to get to your destination, you may obtain a free transfer from the driver when you pay your fare. 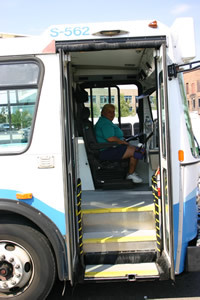 Most transfers are made at the Downtown Transfer Center. Sorry, no transfers to or from the Blue Water Trolley.